Wat is dit voor site? Wij zoeken de goedkoopste boeken op internet. #1 Mallory on the Movevonden we het goedkoopst op Bol.com voor €14.99. We hebben gezocht in nieuwe en tweedehands boeken. Rechtsonderaan de pagina kan je het boek direct bestellen	via Bol	.com. 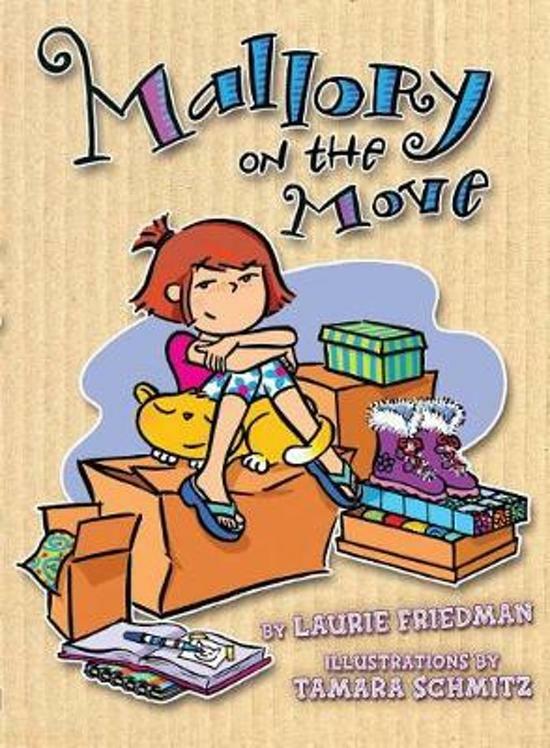 When eight-and-a-half-year-old Mallory McDonald's parents tell her that they are moving, she's mad—really mad! It's not fair! How can they make her move away from Mary Ann, her best friend in the whole wide world? Who will she paint her toenails with, tell secrets to, and make scrapbooks with? When Mallory arrives at her new house on Wish Pond Road, things are terrible. Her room is too small and the girl next door is mean. But Joey lives next door, too. Even though he doesn't paint his toes, he tells jokes, helps teach her cat to do tricks, and shows her how to skateboard. Mallory's having so much fun she forgets the pact she made with Mary Ann never to make friends with a boy next door. But, when Mary Ann comes to visit, what will Mallory do? Will she have to choose between her best friend and her new friend?